Fish soup is prepared all along the Mediterranean coast. 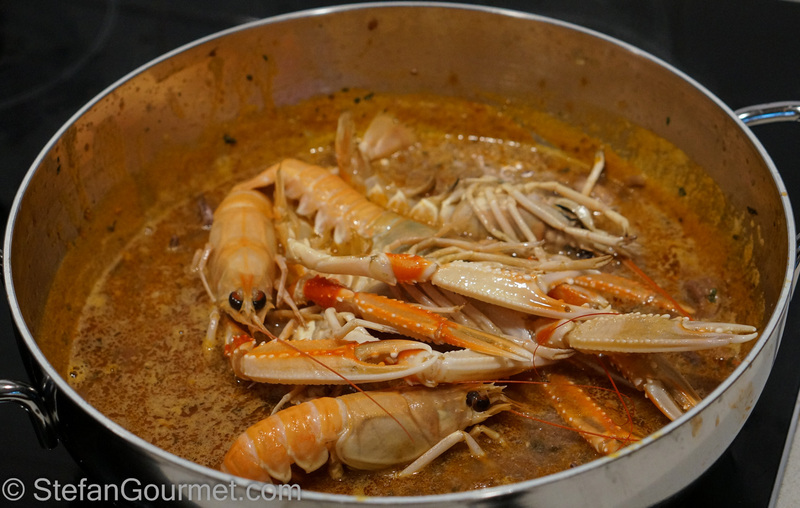 There are many varieties such as bouillabaisse from France and zarzuela from Spain. Cacciccuo alla Livornese is a fish soup from the Tuscan coast that has three distinguishing features: it is made with (and accompanied by) local red wine, it is made with tomatoes, and it is served on top of toasted bread. Fish is usually served with white wine, but in this case a young Chianti Classico is both a vital ingredient and a great wine pairing. 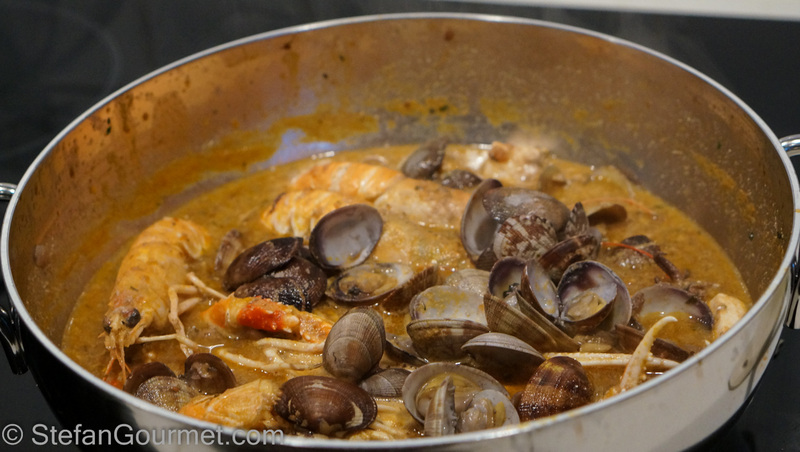 Cacciucco should have four types of seafood: crustaceans, shells, mollusks, and fish. The traditional fish to use for this is palombo (houndshark), but since that is not available here I’ve used swordfish instead. 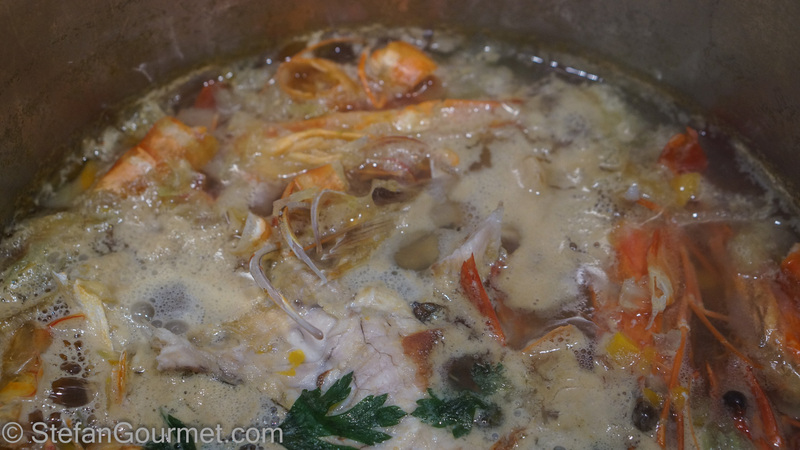 This fish soup has amazing depth of flavor, and would indeed overpower a white wine. 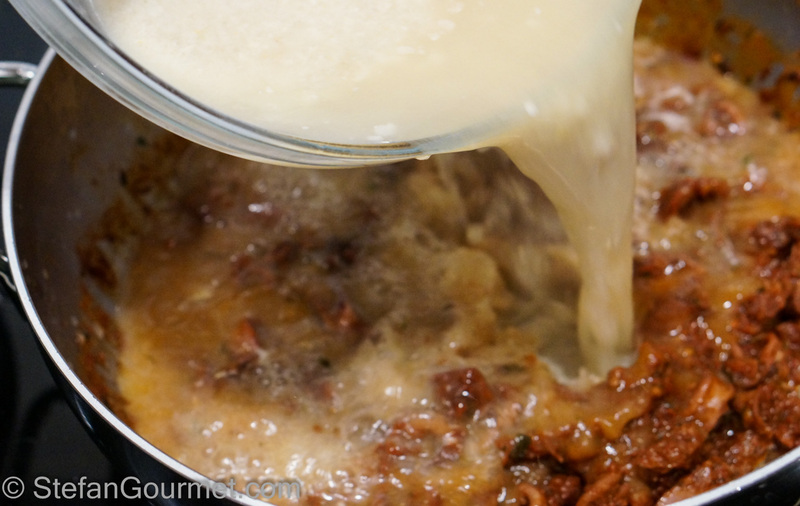 If you like bold flavors and seafood, you will love this soup! Start by making the fish stock. Soak the fish heads and bones in cold water to remove any blood and odors. Put the fish heads and bones in a pot together with the carrot, onion, celery, pepper corns, bay leaf, and parsley, and cover with cold water. 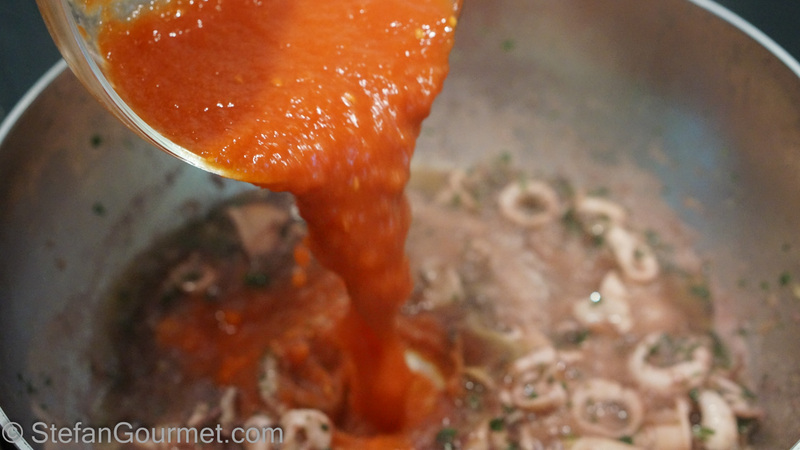 Bring to a boil, lower the heat, and allow to simmer for 30 minutes. Sieve the stock. 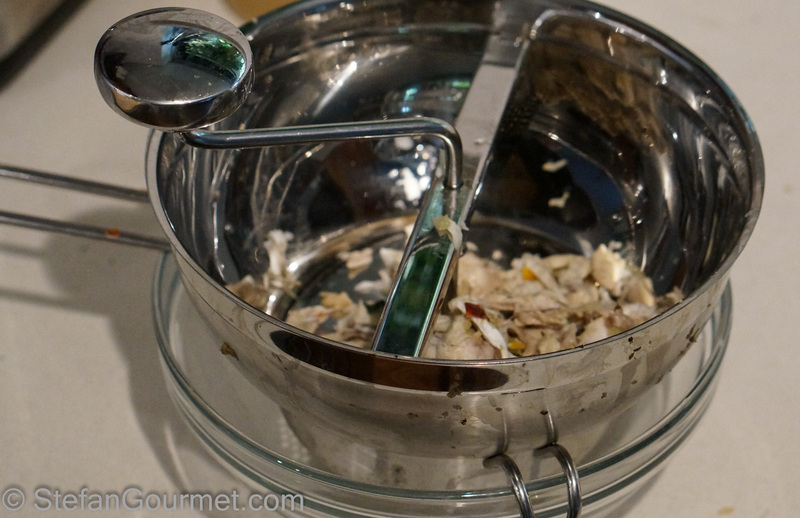 Use a food mill to add the fish meat from the heads and bones to the stock. 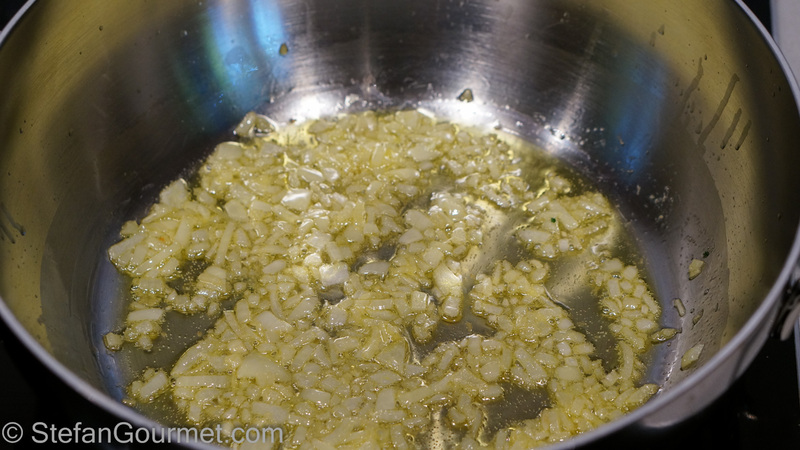 Heat 2 tablespoons olive oil in a casserole and add the onion. Cook for 10 minutes or until soft and fragrant, but do not allow the onion to color. 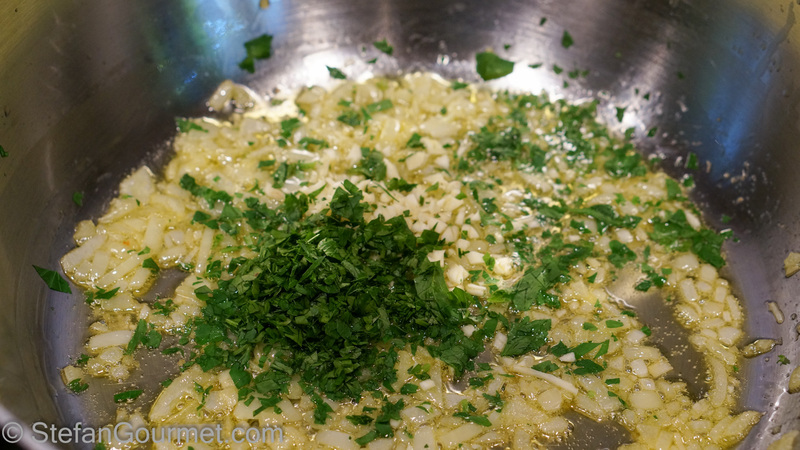 Add the parsley, chili pepper, and garlic and stir for a minute. 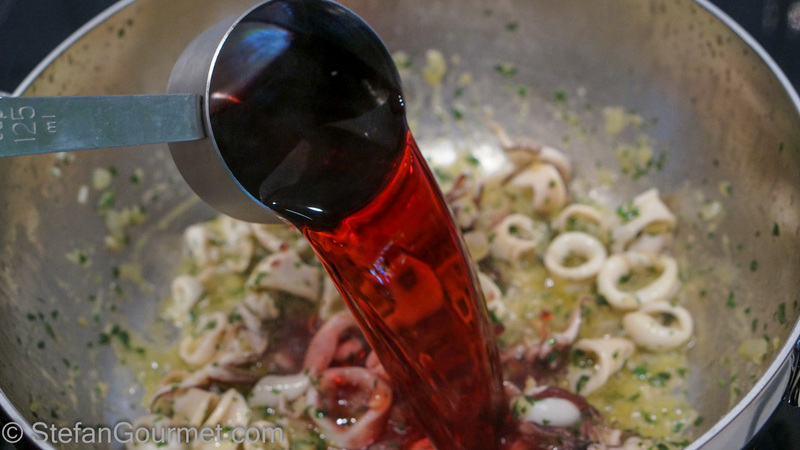 Add the squid and stir for a minute. 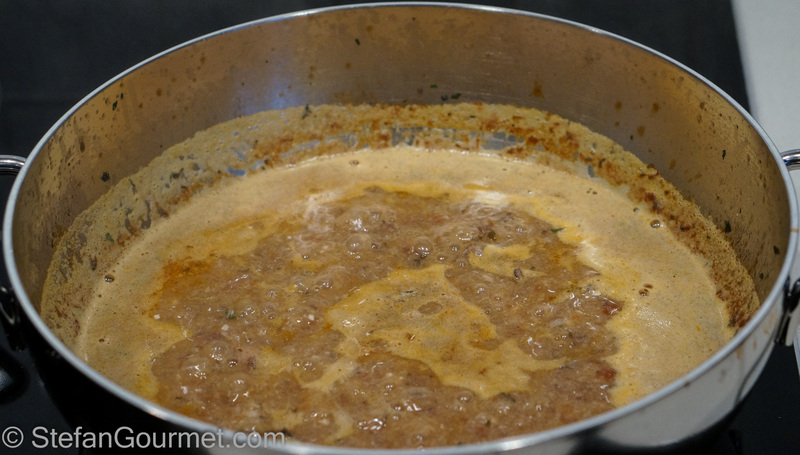 Bring to a boil and lower the heat to a simmer. 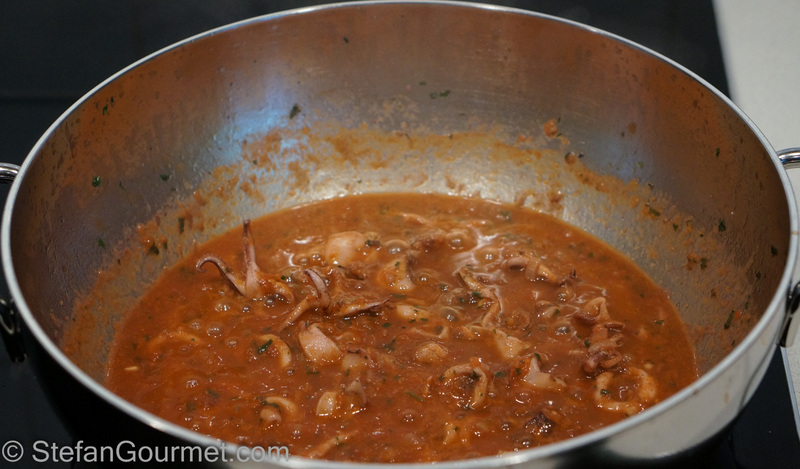 Simmer for about 20 minutes, or until most of the liquid has gone and the squid is tender. 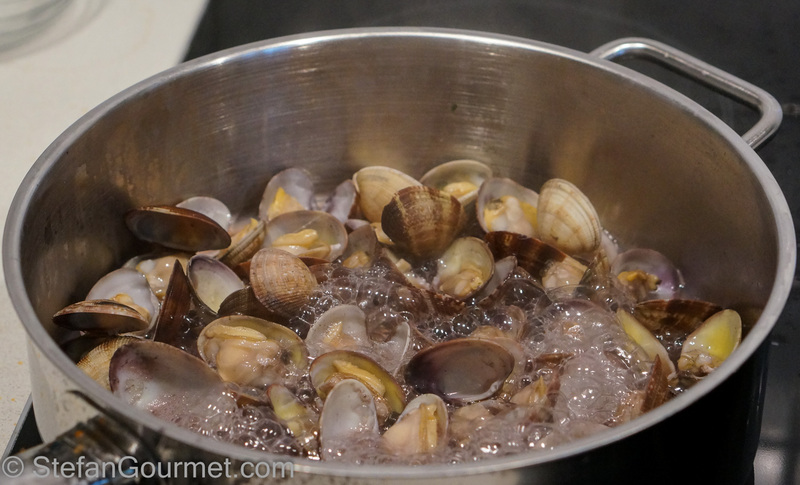 Meanwhile, put the vongole in a pan with a bit of red wine. Cover the pan and put on high heat. 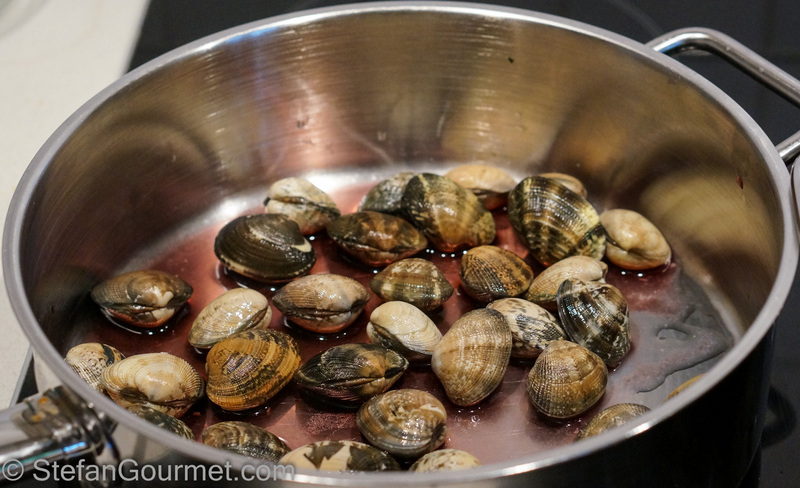 Cook until the vongole have opened, then turn off the heat. 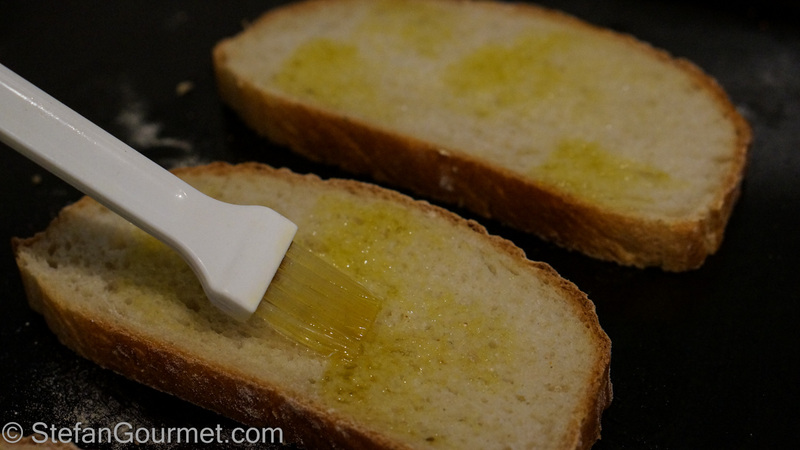 Brush the bread with olive oil, then toast in the oven at 180ºC/350ºF for 10 minutes or until nicely toasted. 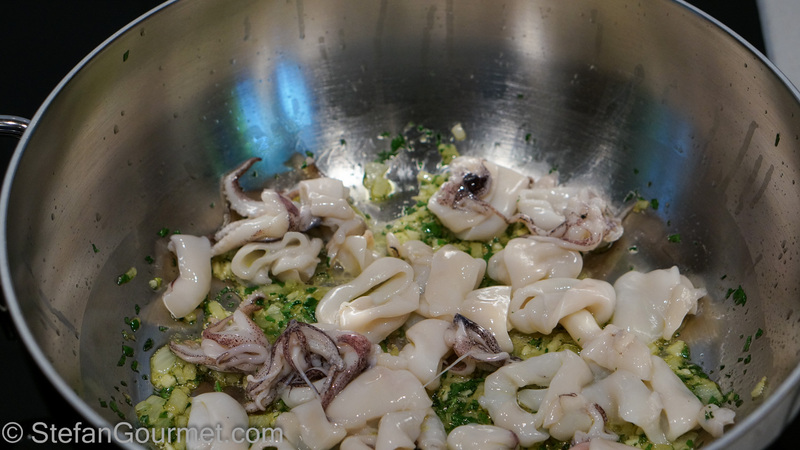 As soon as the squid is tender and the sauce has reduced, add the fish stock to the casserole. 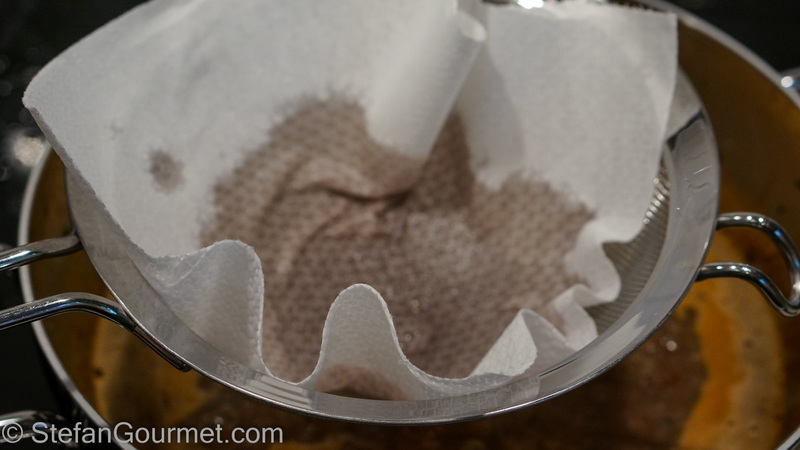 Filter the liquid released by the vongole using a paper towel and add it to the casserole. 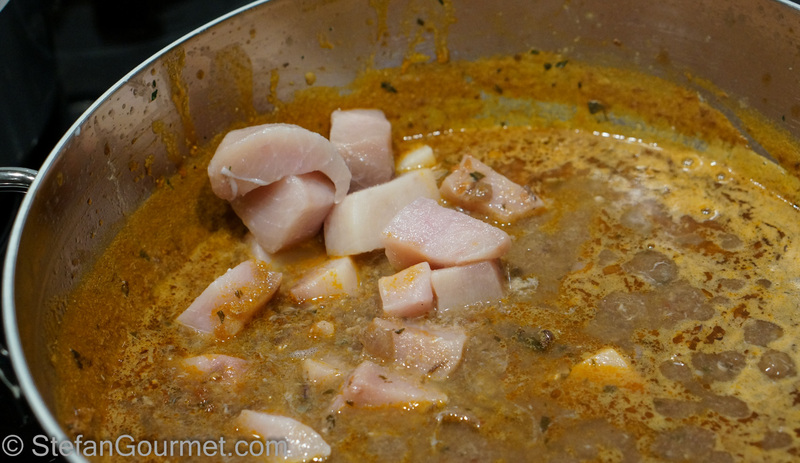 Cut the swordfish into bite-size pieces and add it to the casserole. 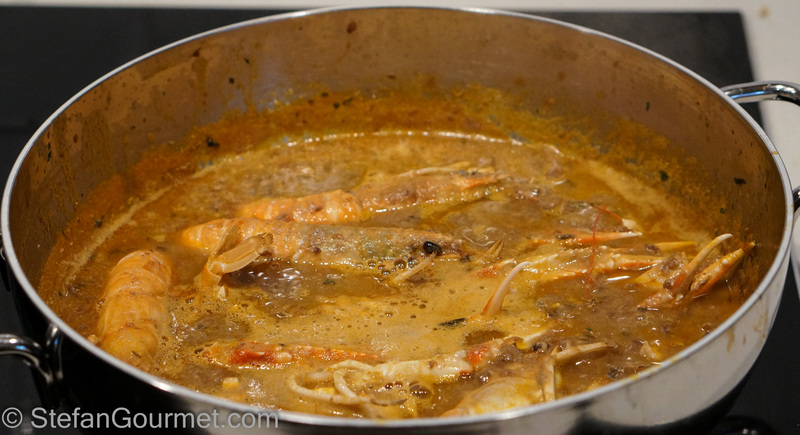 Add the scampi to the casserole. Stir and cook for a couple of minutes, just long enough to cook the scampi and the swordfish. They both only need a couple of minutes. 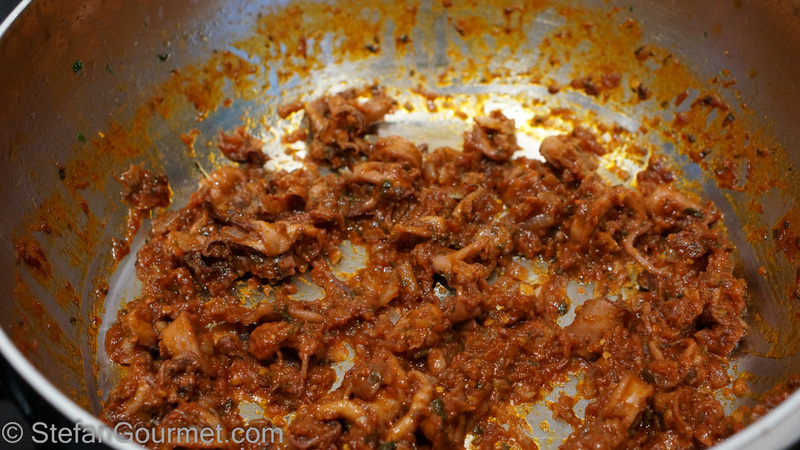 Add the clams and allow to heat through for a minute or so. Taste and add salt if needed (probably not, as the liquid from the vongole is quite salty). 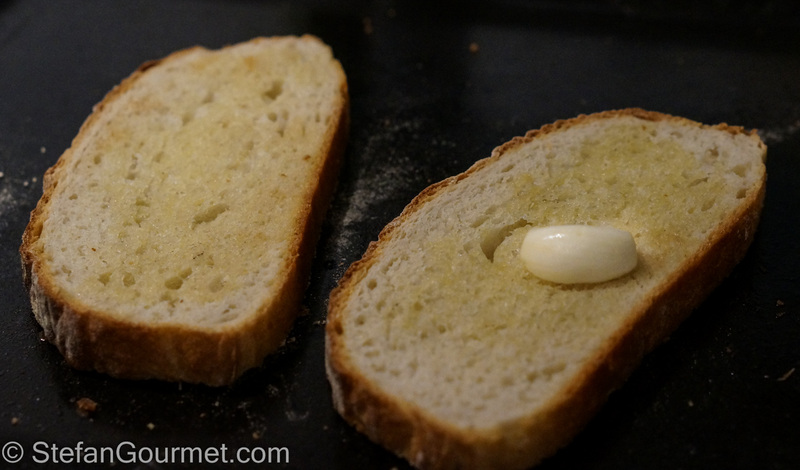 Rub the bread with the halved garlic. 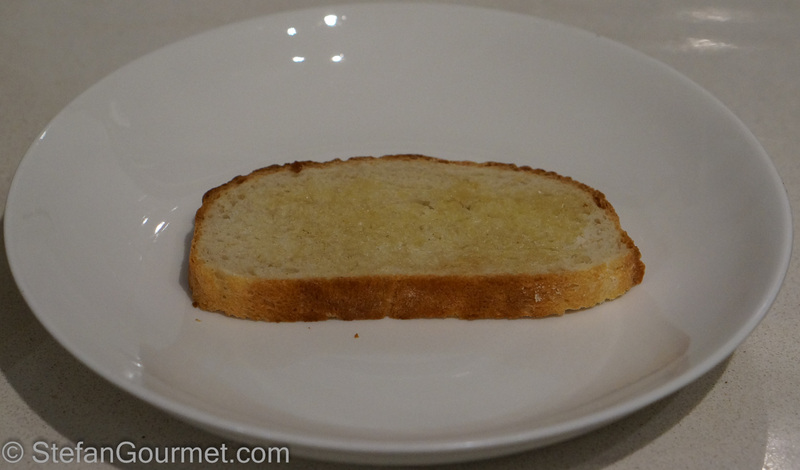 Put a slice of bread on the bottom of a deep plate. Cover the bread with the cacciucco, arranging the seafood nicely. Serve at once. 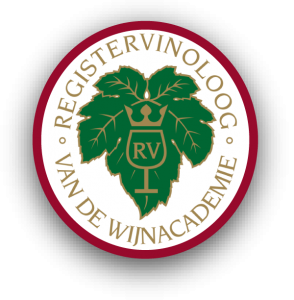 This is truly amazing with a young Chianti Classico (2-3 years after the vintage). 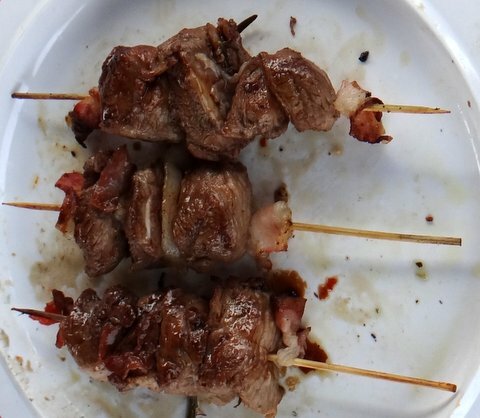 Grilled lamb skewers with pancetta and balsamic is one of my favorites for grilling. I can smell the seafood from here! Wow that looks mouthwatering. Wonderful preparation Stefan. There must be so many layers of flavour in there. I am impressed. I will be posting an extreme prawn risotto on Tuesday. I tried (and succeeded) to build huge seafood flavour. You did too, for sure. That’s so nice! It does indeed have incredible flavor and I will make it again soon.